Every spring in the fitness centers there is a huge revival. Nevertheless, even with increased attention from consumers, the fitness industry remains a highly competitive area in which the role of advertising is difficult to overestimate. Video walls, monitors, signage and interactive – points where communication with visitors is great. And the content to achieve a good marketing result should be diverse and flexible. 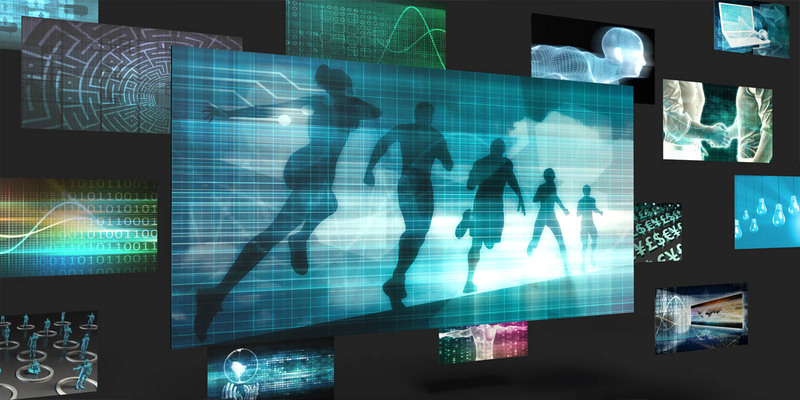 Therefore, fitness centers – one of the areas where Digital Signage is used widely enough. Like many other organizations, fitness begins with a signboard. The main function of the signboard on the facade of the building or above the entrance is to inform potential consumers that this or that company is located here. In the case of a fitness center, territorial convenience is one of the key selection criteria: after all, a person will walk constantly. So the sign should be “conspicuous” to as many people as possible who live or work nearby. In this regard, the most effective solution will be the use of LED modules with dynamic content. Such a sign will not only be visible from afar, but it will attract attention. Digital Signage allows you to make from the signboard a great motivator for a potential client of the fitness center. For example, run a movie showing how the figure improves in the classroom. Or broadcast a video of group sessions. Such an approach will not only attract the attention of the target audience, but will also give an opportunity to feel what exactly a person will get by buying a club card. The main thing is to create the target content. The main information center of the fitness club, of course, is the reception. They come here for the first time to “look around” and make a decision to buy a club card, all the news of permanent members of the club and employees will learn here. So it is here that it makes sense to install electronic advertising surfaces with promptly replaceable content. Information about promotions, new services that have appeared, changes in the schedule of the fitness center – all this at the right time should appear on the screen of the monitor. Here will be broadcast advertising content, “helping” to make a decision about starting classes in the center. You can add interactivity by setting, for example, a self-contained booth with a superposition of various effects. In each fitness center, clients are offered a variety of group programs in completely different directions: power, aerobics, and dance. At the same time, the filling of programs in different clubs sometimes varies greatly. Therefore, the new visitor is not so easy to navigate, what exactly he would like to do. A brief description offered by sales managers is of little help: the wording “medium intensity strength training aimed at strengthening the main muscle groups” still does not give the necessary idea of ​​the pace of training, complexity, the coach’s approach. In this case, “it is better to see once”, by looking at snippets of lessons on a video wall, a person will be able to decide much faster. And, with the choice of the group, and with the choice of an individual coach. And for club coaches the possibility of broadcasting a video with him in the “main role” will be a good motivation, and also increase his loyalty as an employee. Placement of information about the schedule of group sessions in the fitness club or the schedule of work of trainers – from the level of must have. Monitors with a schedule can be placed throughout the fitness center. For example, at the reception, in the fresh bar and in the halls, you can place professional panels of 40 “, directly at the halls – the diagonals can be less – 32”, 20 “or even 10”. At the same time, any content change will be performed on all panels simultaneously, from a single control center. You can also run more targeted content. If you supplement the system with a touch function or install a touch kiosk, then such a schedule can be issued on request. In addition, with the help of this system you can obtain important marketing data: conduct voting or surveys on the quality of work, preferences for the time of classes, programs, directions, create a book of feedback and suggestions, etc. In addition, you can turn on the option of “recording to the coach”, which is also convenient for both visitors and employees of the club. “Boring!” – that’s how many people sound the reason for their refusal to go to fitness. Indeed, the monotony of actions in training attracts far from all. Therefore, it makes sense to diversify “life” in the zone simulators. The most common solution is to install monitors that broadcast various entertainment content. However, other solutions can be implemented. For example, you can create your own TV and in the installation area of ​​a particular type of simulator run a training video or animation that explains how to do the exercises correctly and what you can achieve with these exercises. Or organize a virtual competition with those present in the hall, record the “result of the day” or “the result of the month,” noting the achievements on the club’s website and pages in social networks. Thus, a member of the club will receive both pleasure from the process itself, and recognition of others. In addition, you can display widgets with weather, currency rates, news. And, of course, on such a channel there is always time for advertising: starting from the accompanying services of the fitness center itself (spa, beauty salon, cafe, promotions, special offers) and ending with selling advertising time to partners (clothing stores, sports nutrition). Broadcasting can be carried out in all areas of the club, including locker rooms. The fitness center does not need to use any sophisticated technical solutions. To achieve the desired result in communication with the consumer, you can use professional monitors of different diagonals and LED displays. The main thing is to create unique content. Tagged advertising, creating motivators, interactive, video broadcasting, advertising – this is not the whole list of opportunities for communication with the client. At the same time, such advantages of Digital Signage as dynamism and the possibility of operative information change are actual in the “one hundred percent” fitness center.